Expo Milano 2015 materials tour: metal Brad Turner. November 9, 2015. As the six-month-long expo finally comes to a close, what better time to publish the first post in our four part materials tour. 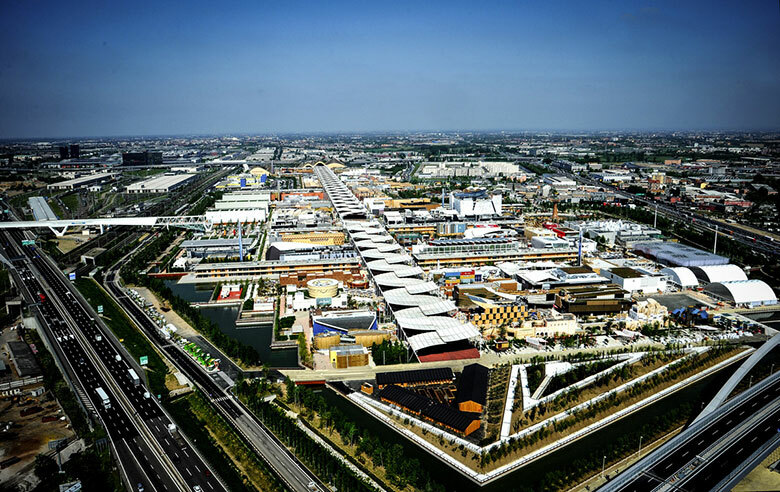 With a one-and-a-half mile long central street, the ‘Decumano’, lined with pavilions from over 140 participating nations covering the one million square metre site, Expo Milano 2015 was impressive to say the least. Showcasing their culture, ingenuity and presence on the global stage through a collection of semi-permanent pavilions, the nations of the world created a true architectural playground. 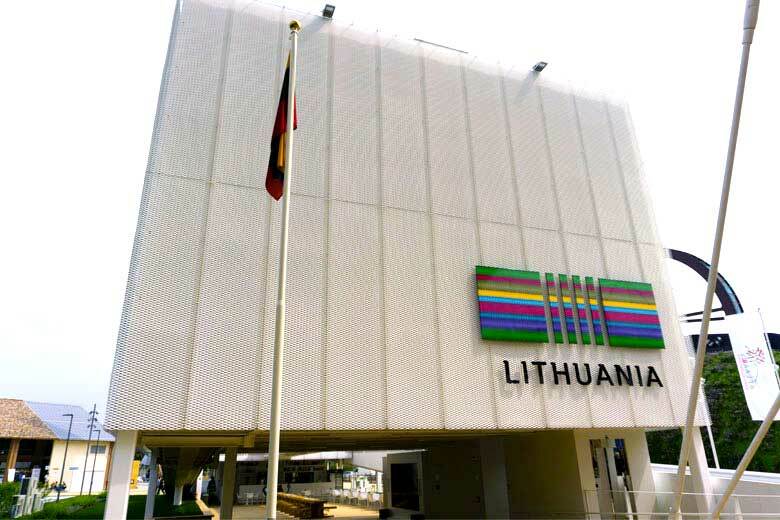 Like a large section of the participating nations, we’re more interested in the design quality and architectural gestures on display, rather than the thematic content of the pavilions… apologies to Jacques Herzog for that. Join us on a whirlwind photo tour of the expo, as we examine how the various nations made use of materials in the design of their pavilions. 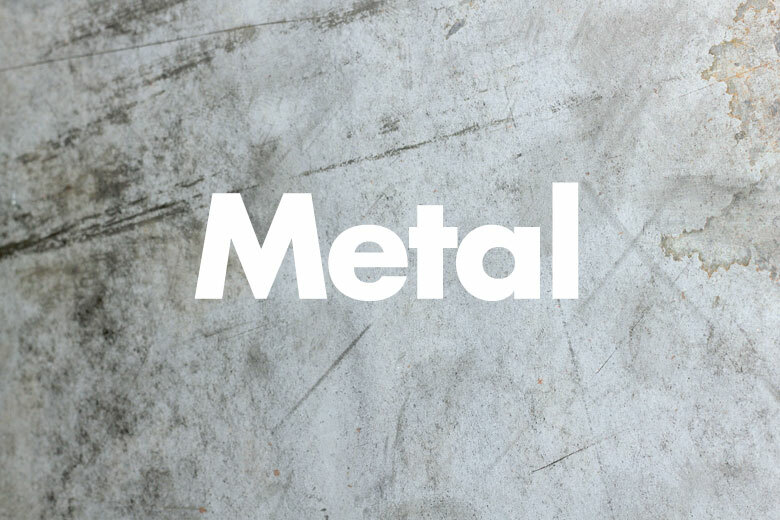 First up, metals. The thrilling, if slightly perilous, Brazillan pavilion had a primary structure and open-grate shell of pre-weathered Corten steel. The pre-weathered Corten provided a robust low maintenance finish, simultaneously industrial and earthy; the rust being symbolic of the iron-rich soils of Brazil. 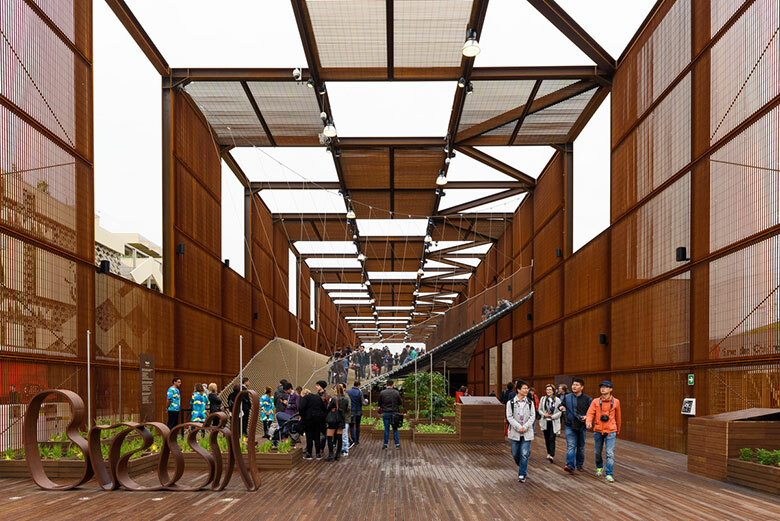 The Corten mesh visually complimented the walkable rope net platform of the pavilion interior, which proved to be one of the most popular attractions of the expo. 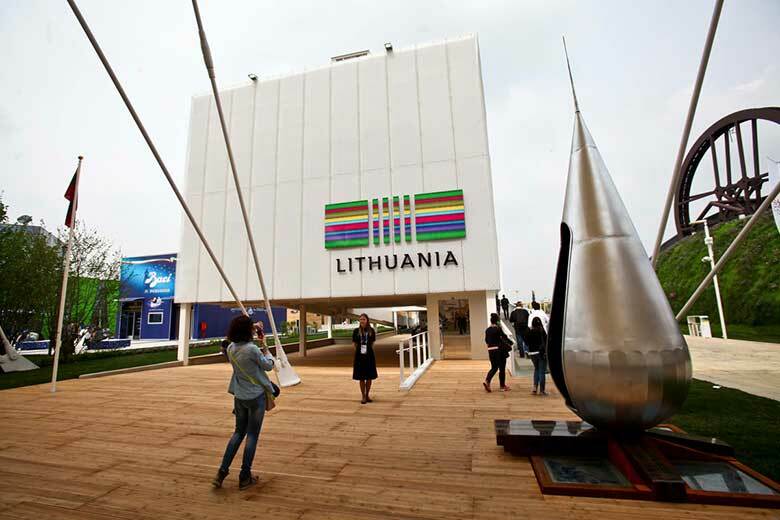 Expanded metal cladding gave texture, movement and depth to the Lithuanian pavilion‘s simple white volume. 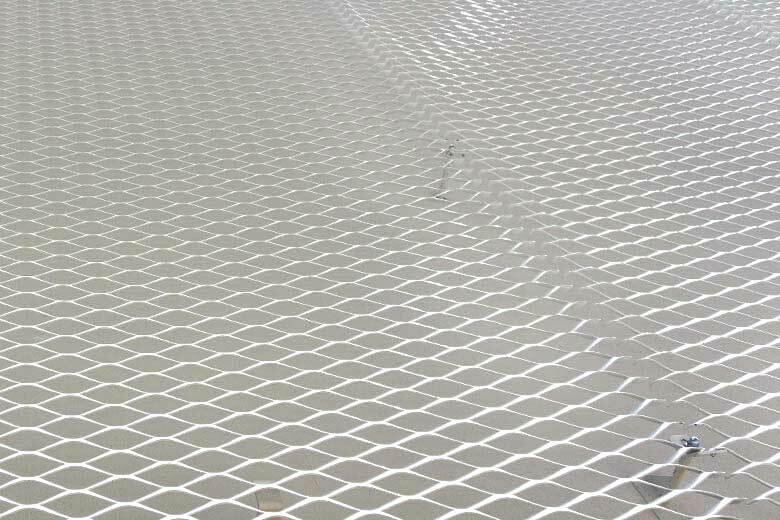 Expanded metal’s three dimensionality and material efficiency makes this a material application we’re always a fan of. Large-scale expansions in the aluminium sheet produce a high degree of openness, providing lightweight secondary cladding that doesn’t require a heavy sub-structure. The white polyester powder coat finish added a slickness to the whole appearance, disguising its pragmatic roots. 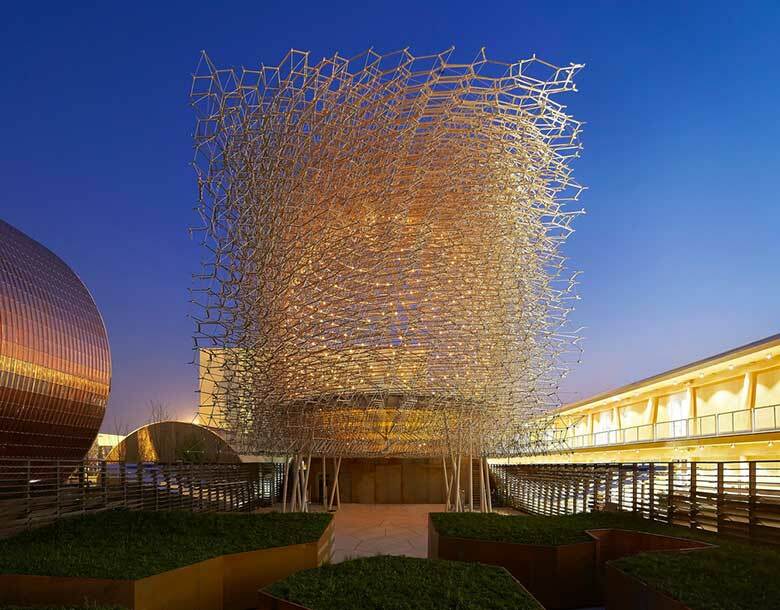 One of the stars of the show, and eventual winner of best architecture and landscape, the UK pavilion‘s main sculptural element was composed of a lightweight, nodal aluminium structure. 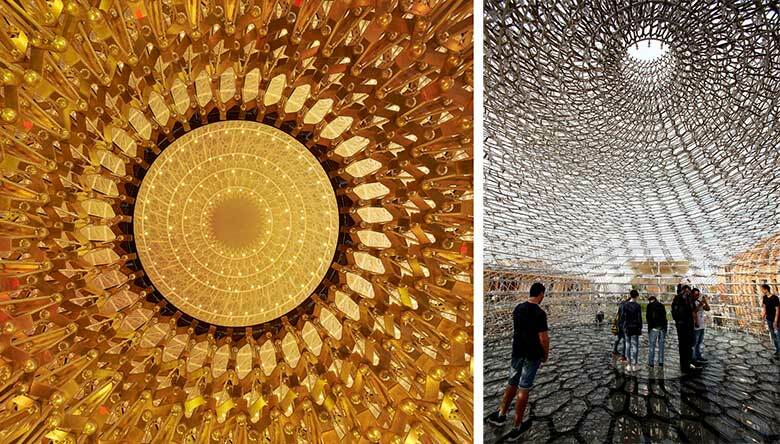 The structure, an abstracted reference to a beehive, took on the qualities of lightness and strength in homage to the efficient honeycomb structures created by bees. 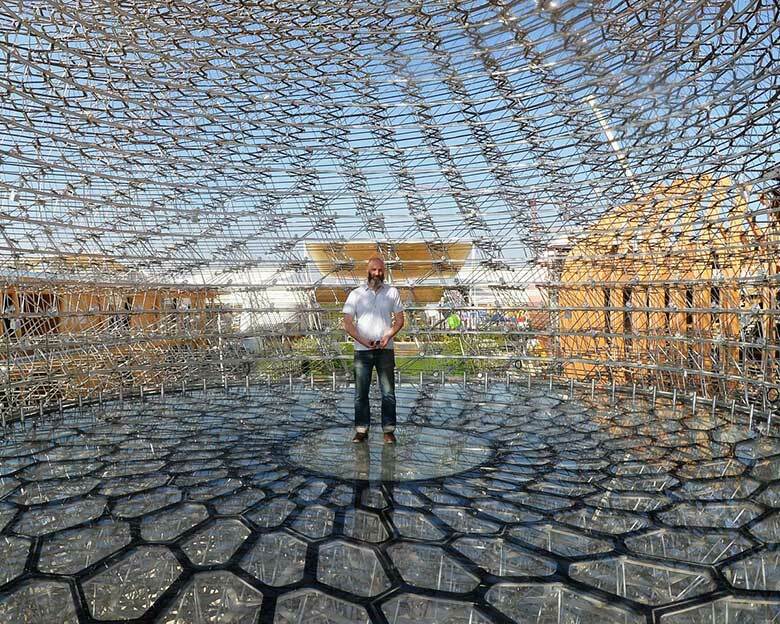 The three dimensional lattice was an assembly of 169,300 individual aluminium components, left unfinished to allow the beauty of the structure to take centre stage. Colour was injected into the pavilion by integrated lighting. The green ‘meadow’ area at the front of the pavilion was clad in weathered Corten, aesthetically complimenting the natural plants and greenery while providing a robust surface. The Hungarian pavilion greeted it’s visitors with a facade of shiny copper. The first metal that humans mastered, copper is an appropriate choice for a pavilion borrowing ideas from folk tradition and craftsmanship. 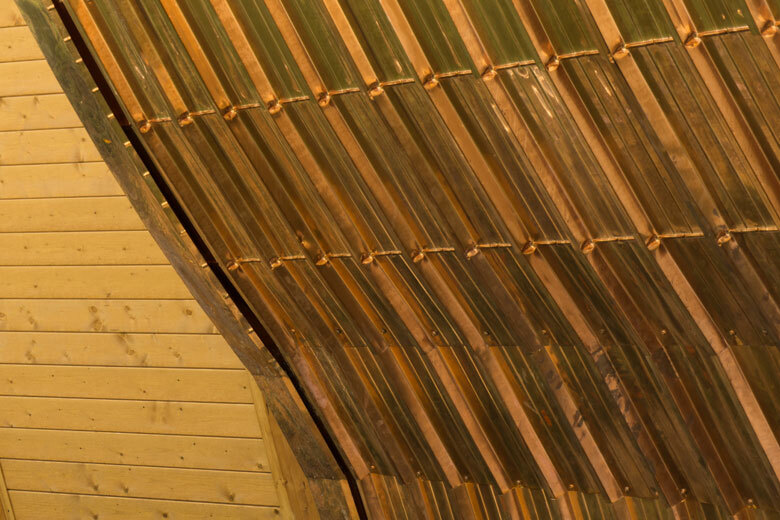 The warm metal was harmoniously paired with a warm timber belly in the shape of a ship’s hull. 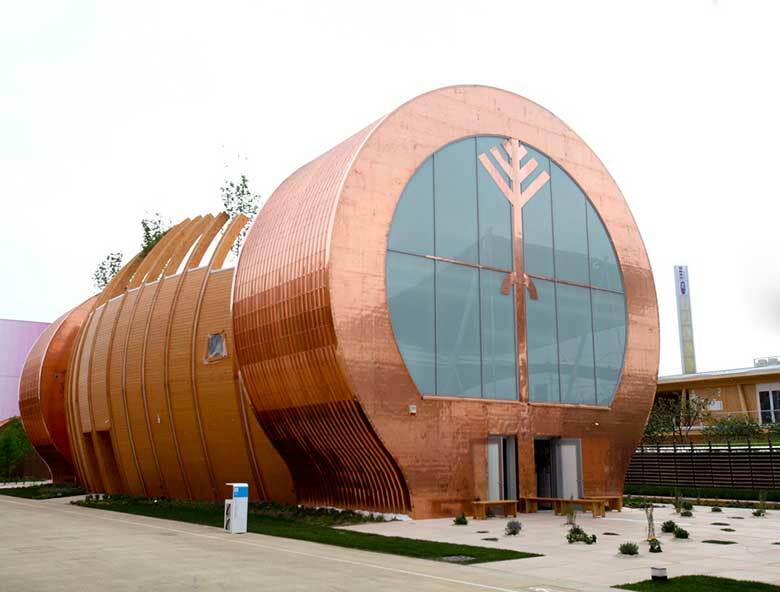 Using expensive copper at first seems decadent for a temporary building, however, the Hungarian pavilion is designed to be disassembled, transported and reassembled for a second life after the expo. The corrugated profile adds visual interest while creating a stronger and more stable form than flat sheet. 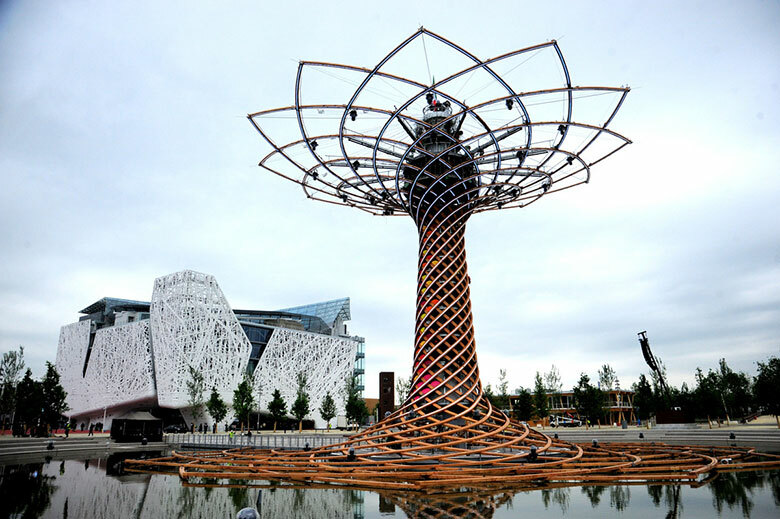 Join us next week as we continue our whistle-stop tour of Expo Milano 2015. Next up: mineral materials.